At Alternative Resolutions, LLC all of our conflict resolution and mediation training programs are interactive, participatory and custom designed to the needs of your organization. We provide a range of training programs including basic mediation training, advanced mediation and negotiation training, conflict management, communications skills and facilitation skills. 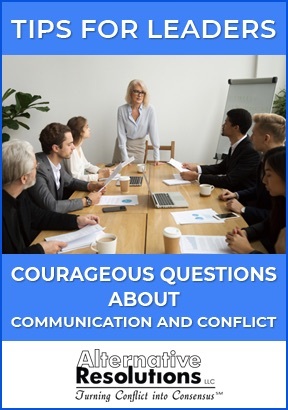 We like to go into organizations and teach staff and management how to resolve their own conflicts and improve workplace communication and team effectiveness. We also conduct training on sexual harassment and bullying awareness and prevention. Listen to our podcast which discusses our sexual harassment awareness training. Listen to our podcast which discusses our sexual harassment awareness training. Our next Basic Mediation Training, sponsored by the Maryland State Bar Association, will take place September 24-28, 2018 at the University of Baltimore Business School (exact dates will be confirmed shortly). Registration information and a course outline can be found here. We also offer on-site mediation and conflict resolution training where we will come to your office and set up a training session. We conduct training throughout the United States. Email us to set up an appointment to discuss your training needs. See what others are saying about our training. 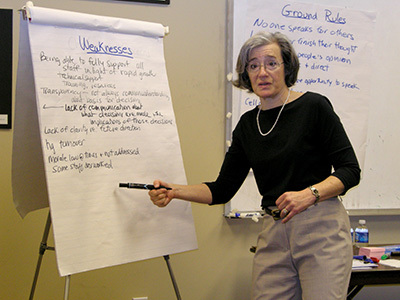 What makes Alternative Resolutions, LLC the best in terms of conflict resolution training? “I thank you for your dedication, your generosity of spirit and your talent. I also thank you for allowing me to ride on your ship and benefit from its mission to make good mediators. In light of your commitment and passion to educating attorneys and teaching invaluable skills, I have made a contribution in your honor to the Montgomery County Bar Foundation.” – A. Howard Metro, Esq. This is a full day class designed to provide a deep understanding of the complex role of listening as a communication tool, the multitude of factors influencing the process, its different purposes and the multiple variables that impact listening. It includes a self-assessment tool so that participants understand their listening strengths and weaknesses and how to make improvements. Role plays and exercises are customized to the needs of the team. Facilitated discussion includes action planning for improving workplace communication from knowledge and insights gained in class. Past clients include National Institute of Health, Institute of Allergy and Infectious Diseases, US Army, Collaborative Professionals of Central Pennsylvania. 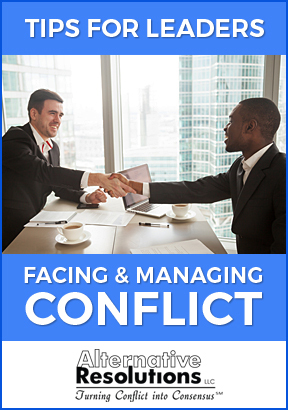 This two-hour interactive workshop which consists of a presentation on conflict styles, interest based negotiation and its use in a multiple venues. 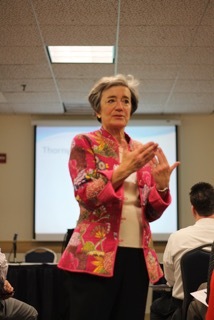 It includes a video clip of a salary negotiation and two exercises, followed by debrief of the exercises. A negotiation planning guide and observation sheet will be used in the exercises to help focus the application of the principles taught in the presentation. The role play exercises are customized to the needs of the team. Past clients include George Washington University, Montgomery County Department of Economic Development, Purdue University, Society for Toxicology and Woods Hole Oceanographic Institute.